See below for the links of the months to purchase individually. 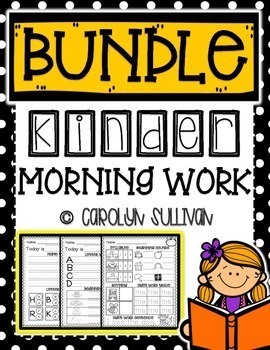 Each of the below packets include 20 pages of Literacy Morning Work for your Kindergarten students for each month of the school year (August- May.) Each month in this packet has a worksheet in a similar or the same format so students become familiar with it. This will allow your students to complete the activity independently. The activities in each month of the packet progressively get more difficult as the school year progresses. 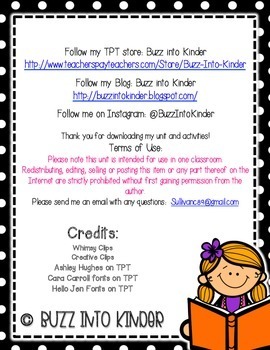 All activities included in these packets are aligned to the Common Core Standards for Kindergarten. Click here view my August Literacy Morning work! Click here view my September Literacy Morning work! Click here view my October Literacy Morning work! Click here view my November Literacy Morning work! Click here view my December Literacy Morning work! Click here view my January Literacy Morning work! Click here view my February Literacy Morning work! Click here view my March Literacy Morning work! Click here view my April Literacy Morning work! Click here view my May Literacy Morning work!